Bill (William) Taylor researches, performs, teaches and records the ancient harp music of Ireland, Scotland and Wales. He is one of very few players interpreting these repertoires using lyres, gut-strung medieval harps, renaissance harps with buzzing bray pins and wire-strung clarsachs. Bill is a teacher-in-residence with Ardival Harps, Strathpeffer, in the Highlands of Scotland. For many years he has taught at the Edinburgh International Harp Festival in the UK and the Amherst Early Music Festival in the US, and he is often invited to lead workshops and to perform in Britain, Europe and the United States. 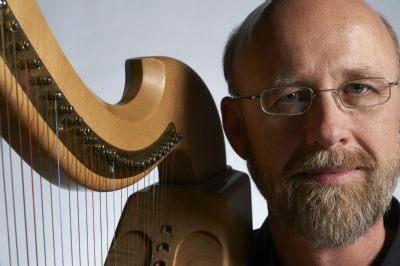 His teaching covers a wide range of subjects: arranging for small harps, using fingernail technique to play wire-strung harps and bray harps, and exploring music from medieval, renaissance and traditional sources. He has made over 30 recordings as a soloist and with several different ensembles.